The Chinese cosmetics industry is one of the fastest growing segments of China’s economy today. This trend is expected to continue into the future as well, as affluent segments in the country are wanting more variety and more expensive cosmetics and beauty supply products. At the same time, a growing middle class in China is demanding more opportunities for entry-level and mid-range products that they can afford as well. In China right now, premium high-end lipsticks sell for about $99 each. Eye shadow products are currently selling at $80 or more for a similar quality. 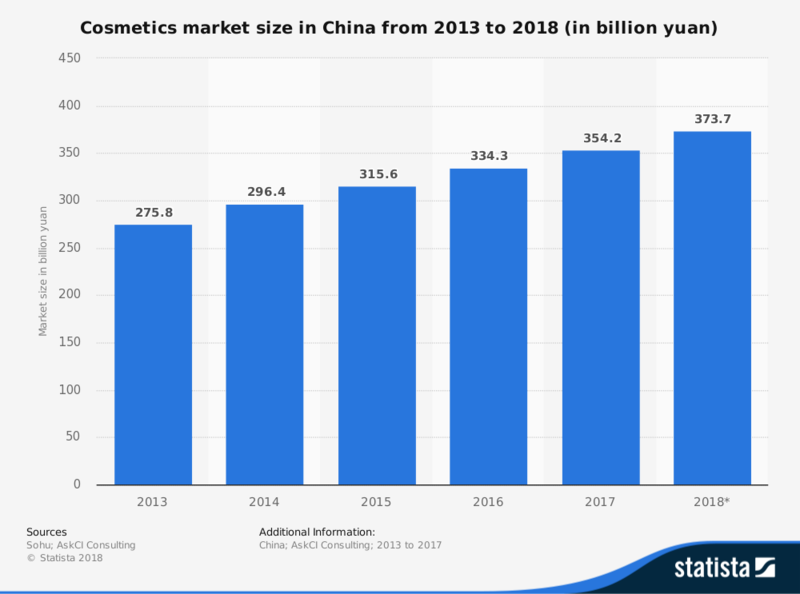 That has led the world’s leading cosmetic brands to move into China for new revenue opportunities, where the 10 top brands currently hold more than 50% of the market. 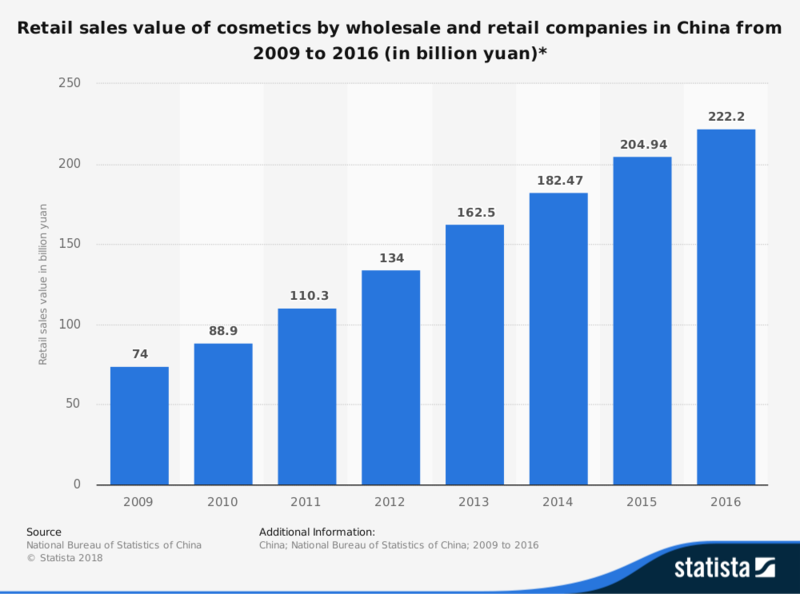 The total value of imports is increasing for the cosmetics industry in China as well, with over $393 million in cosmetics imported in 2015. The Chinese cosmetics industry is just beginning a growth trend right now. As wealth continues to reach the general population and there is more disposable income, the trend of seeking out value-based cosmetics products is expected to continue. Look for manufacturers to introduce new products that are exclusive to the Chinese market, with its high-value pricing and profit potential. A lipstick that sells for $9 in the United States could sell for $99 in some parts of China. Industry leaders are not going to ignore numbers like those. With the exception of preparations for permanent waving, every industry segment saw double-digit percentage growth YoY in 2017. That trend is going to continue, as more firms qualified to produce cosmetics are approved by the government. Low-income households will focus on domestic brands, while higher incomes will dominate the foreign market share. Trends in augmented reality will continue to push sales higher in the online market. As more households travel outside of China, a drive for better selections domestically will occur. 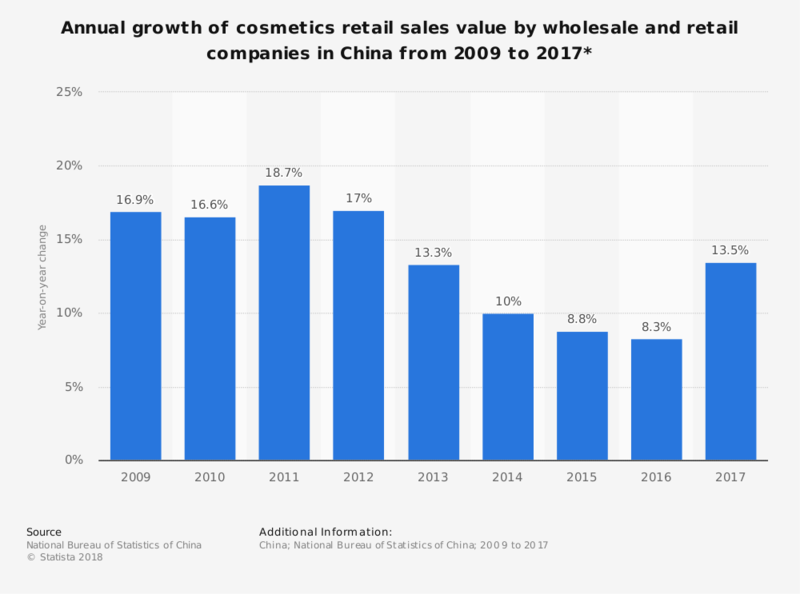 The growth of Chinese cosmetics is strong and will continue to remain that way through the next 5-year and 10-year forecast periods.